Centre cockpit cruising yachts remain popular for liveaboards and long-distance sailing, says Rupert Holmes. Centre cockpit cruising yachts have always attracted an enthusiastic following, often thanks to the additional volume – and privacy – afforded below decks, which can make the boat feel larger than the physical dimensions suggest. To some extent the format lost popularity once boats with two quarter cabins became commonly available from the mid-1980s onwards. However, it has retained appeal among those who spend extended periods of time on board, particularly in boats of 35ft and larger, thanks to the additional comfort afforded by the typically spacious aft cabin. 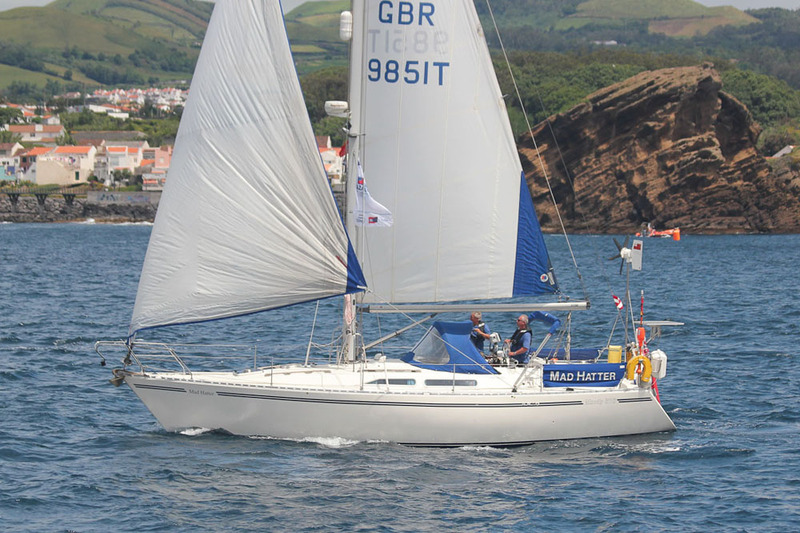 While centre-cockpit designs are often seen as being relatively sedate, with the emphasis on accommodation rather than performance, this is not true for the Maxi 95. The Maxi 95 offers plenty of room below without sacrificing performance and the unusual engine configuration provides easy access for maintenance. When first launched in the mid-1970s it was seen as a quick performance cruiser that would look after its crew in testing conditions. However, it also has plenty of interior space, partly thanks to the raised topsides that effectively take the coachroof out to the sides of the hull. The main part of the accommodation includes a double berth forward and a wide saloon with the engine under the table in an unusual arrangement that gives excellent engine access. The heads compartment is aft, next to the companionway, opposite the galley. As was the norm for aft cabin designs of this era, the cabin is entered from the cockpit and offers a further two single berths, although it lacks standing headroom. For some owners it tends to become an easily accessible stowage space, while for others it’s an area that children, or grandchildren, can call their own. In its day Westerly was one of Europe’s biggest boat builders, and was quick to develop centre cockpit models, including a variant of the 26ft Centaur. Early models of the Laurent Giles Westerly 33 have an aft cabin that is only accessible from the cockpit. 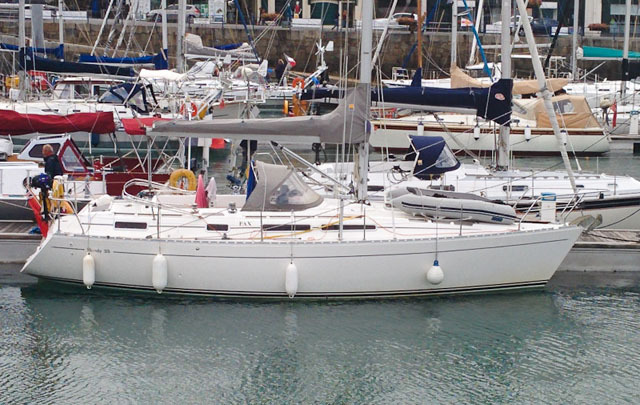 The Westerly 33 was from the company’s second generation of centre-cockpit products, designed by Laurent Giles in 1977. At this time the aft cabin was still accessed only from the cockpit, although later models, some of which were re-badged the centre cockpit Discus, have a walk-through from the saloon, aft of the chart table. As well as improving access to the aft cabin, especially in inclement weather, this also gives the feel of considerably more internal volume, making the boat feel significantly more spacious, while still preserving a sense of privacy, with the two double cabins at opposite ends of the boat. Sadly the aft cabin lacks standing headroom, but otherwise the interior is surprisingly spacious for a boat of this era, and the design is well proven, with many having completed ambitious ocean passages, include voyages at high latitudes. The later Seahawk 34, and its subsequent variants, including the Oceanquest 35, had Ed Dubois designed hulls with significantly more beam that was carried further aft, giving a significantly larger aft cabin and more head and elbow room in the walk through. The new model also provided sufficient space for two heads. Despite the additional beam, the Seahawk was generally noticeably faster than the 33 and the Discus, although it has a more lively motion in a big sea. Another of the former big names in British boat building, Moody’s very first model in 1972 was a 33ft centre cockpit design. Part of the second generation of Moody centre-cockpit designs, the 346 features a walk-through to the aft cabin below decks. 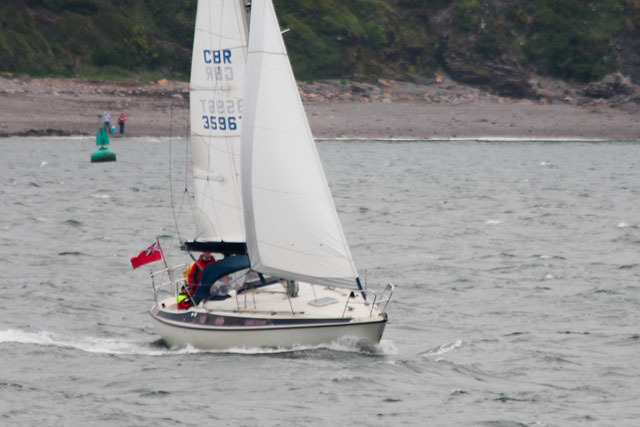 Similar models at 36ft and 39ft followed swiftly, before a second generation range was launched in the early to mid-1980s, including the popular Moody 346, 376 and the larger 419. By this time a walk through to the aft cabin had become standard practice, although by now cockpits tended to be raised higher in the boat, arguably giving a reduced sense of security and also subject to more motion. 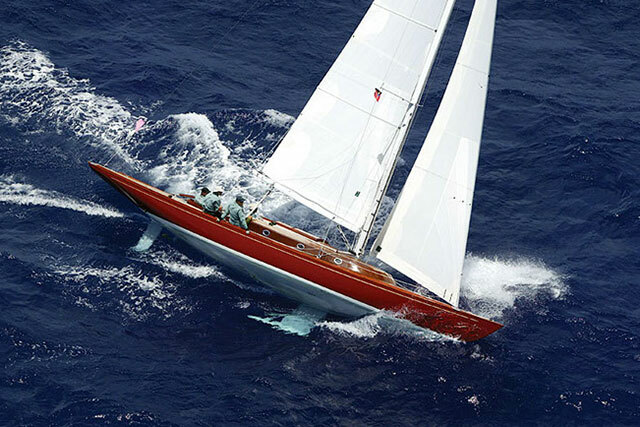 The 35 was a later model, intended to offer both a little more performance than some of the earlier boats, as well as refining the Moody concept. Designed to offer greater performance further refinement of the Moody centre cockpit experience, sales of the 1990s Moody 35 suffered in the poor economic climate. 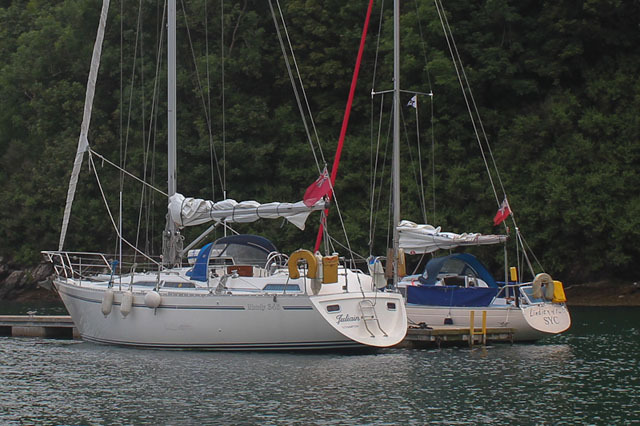 Unfortunately it was launched in the 1990s recession, when the big French and German yards were taking a greater share of the market, however almost 200 boats were sold over a six-year period. Compared to the 346 the boat gains a larger aft cabin, with additional stowage and easier access to the berth. There’s also an improved galley area, with ample worktop space and stowage that's configured to work well both at sea and in harbour. 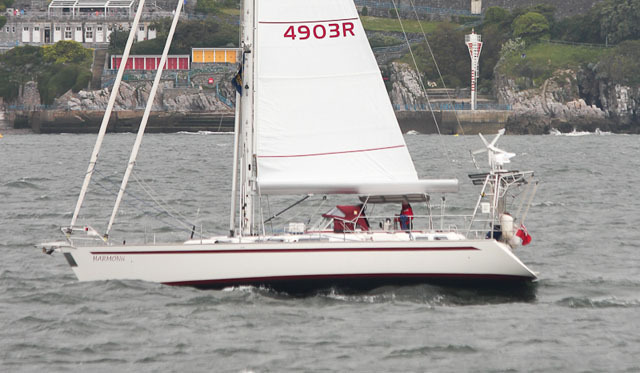 The 406, built between 1986 and 1990, was one of a series of boats that established Oyster’s reputation as a builder of quality long-distance cruising yachts and many have now circumnavigated and completed other extended voyages of note. 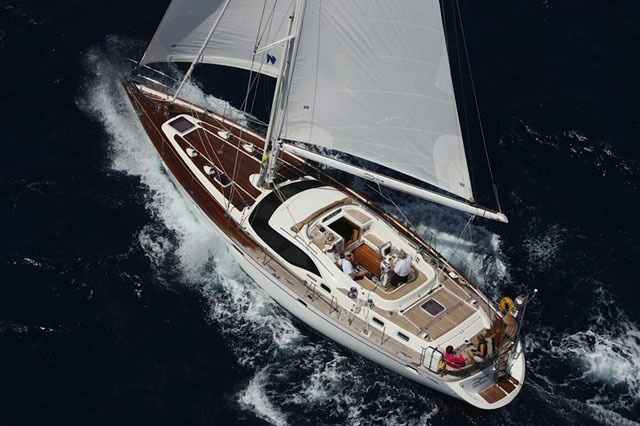 A benchmark for any serious cruising yacht and now after nearly 30 years on the water, the Oyster 406 offers great value for money. 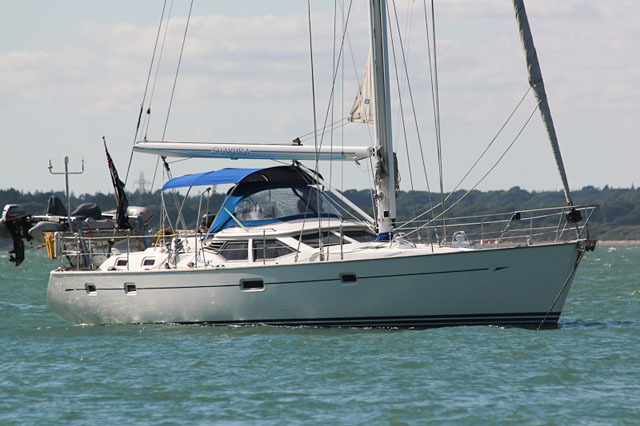 The deck saloon, spacious owner’s cabin aft, decent galley, and further sleeping accommodation forward have become trademark features of the Oyster range. For those who prefer a more streamlined deck profile a standard coachroof model was also offered. Granted, over the past 30 years there are more modern designs that offer more space, but the 406 still sets a benchmark by which other serious cruisers must be measured and has become good value for money as well. Later models also benefitted from a centreline double berth in the aft cabin. 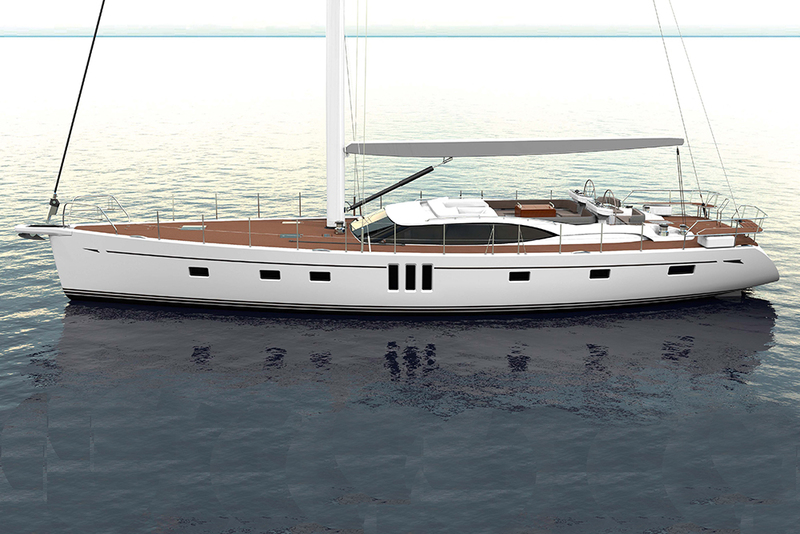 The high-quality Scandinavian boat builders are jointly responsible for a large number of centre cockpit designs and Najad is no exception. The forward part of the Najad 490 cockpit benefits from a fixed windshield, with a folding sprayhood above that provides a comfortable and sheltered position on deck. 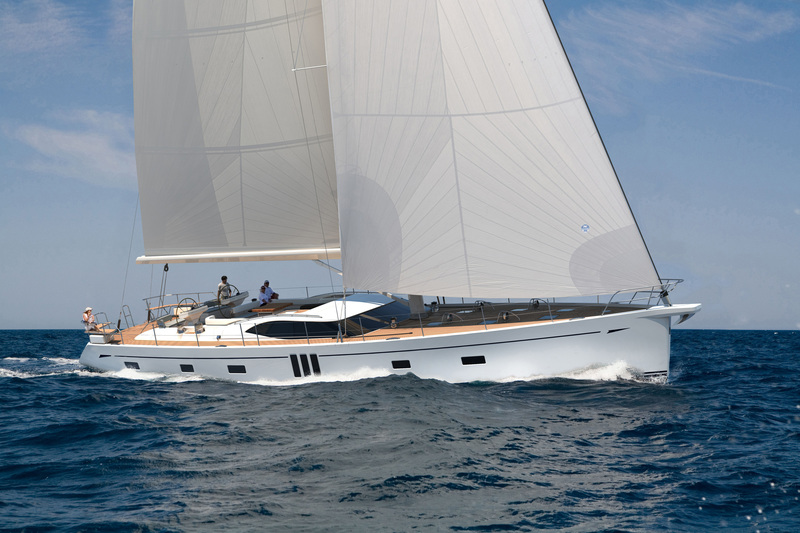 The 490, built from 1998-2007, has a lower-profile deck line than the Oysters as a result of the lack of the deck saloon. Instead, the forward part of the cockpit benefits from a fixed windshield, with a folding sprayhood above that provides a comfortable and sheltered position on deck when necessary. The 490 is also a boat with a higher performance potential than many centre cockpit designs, yet is still large enough to provide excellent accommodation. A number of layouts were offered, all with a large owner’s aft cabin. Forward of the mast there was a choice of two twin cabins, a twin and a double, or just one palatial double. Similarly there were various options for the layout of the galley and navigation station areas. One of the company’s more recent models, built in the early 2000s, the 49 took the concept that originated with the 406 and her contemporaries to a new level. As well as the trademark huge aft owner’s cabin, guest accommodation aboard the early 2000s Oyster 49 includes a comfortable twin cabin, plus a large double forward. 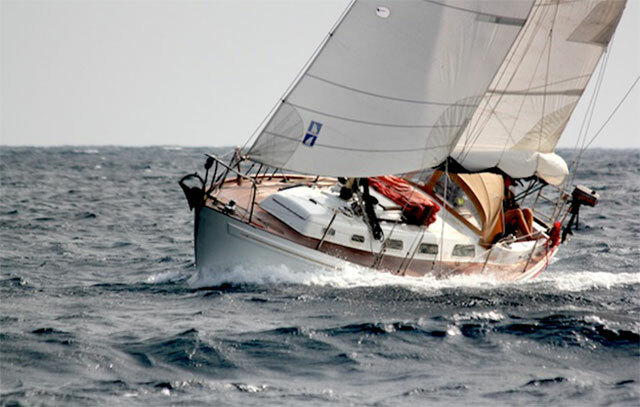 Advances in yacht design and construction techniques over the previous couple of decades give a proportionately lighter boat with significantly more sail carrying ability and greater speed potential. At the same time there’s more interior space than on earlier designs of a similar size, with almost the whole of the length of the yacht used for accommodation. 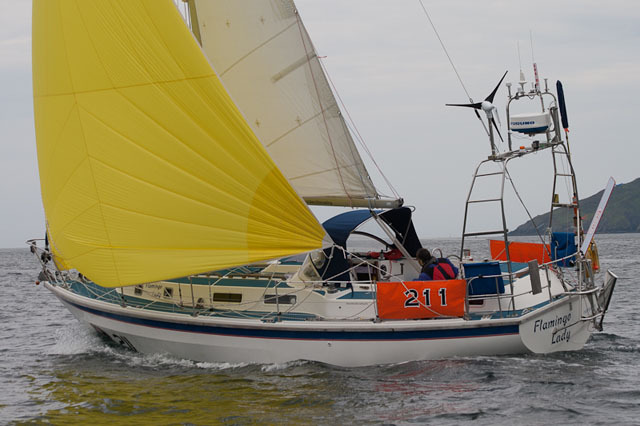 As well as the trademark huge aft owner’s cabin, guest accommodation includes a comfortable twin cabin, plus a large double forward, with these two cabins sharing a well appointed heads compartment with a separate shower stall. 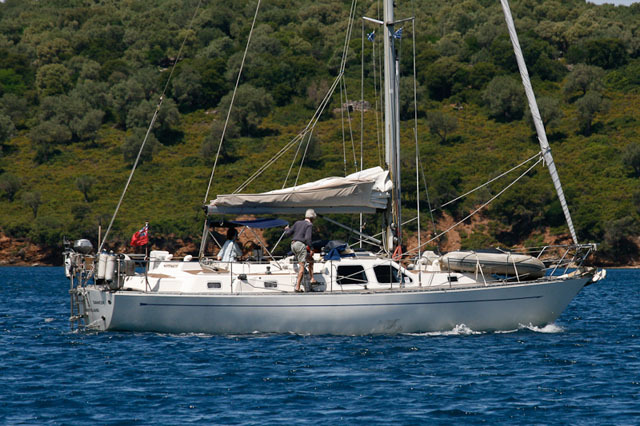 This is a popular size for owners to sail without the help of professional crew, gaining the benefits of owning an Oyster while still being a manageable size.